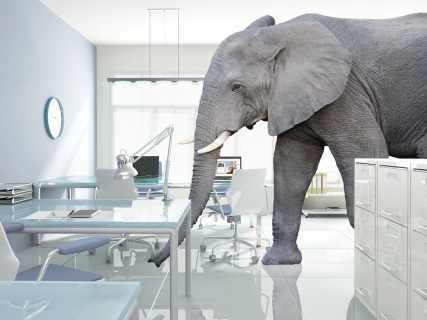 If your organization is like most I have worked with, there is an elephant in the room that is smothering spend control success. My philosophy of spend control is that it includes cost and time savings. Spend analysis tools combine data from different systems into a powerful dataset. · Who is spending and if they are buying from preferred vendors and be able to generate reports with a few clicks to identify savings opportunities. Information like this is powerful and necessary but then the challenging work starts. The major league baseball playoffs are going on now and today’s managers are playing the percentages to make the right choices. They have an unprecedented amount of data on virtually every potential game situation. The manager will know that a certain pitcher has success 90% of the time against a hitter and can use that information to greatly enhance their chances of winning. Unfortunately, baseball players are not robots and the perfect matchup won’t work if the pitcher doesn’t execute like he has in the past. The end of the Dodgers/Cubs game yesterday is proof of that. The good news is that spend control isn’t about winning every battle but winning most of the battles. This isn’t a 7-game winner take all series like the baseball playoffs. Knowing the opportunities is the first step in spend control. So, what is the elephant in the room? Before you can reap the benefits that will be identified by spend analytics, it is very likely that a shift in the culture will be needed. Motivating employees to think like owners and rewarding them for taking charge of the process will need a strong leadership message about how the savings will be utilized. I was recently part of a demonstration for a prospective client that clearly would generate a 40% reduction in the amount of time required for each RFP event. This was the reaction from one of the procurement analysts: “Does this mean that one of us will lose our job?” The company currently had 3 analysts doing RFPs. The CPO quickly stepped in and assured all the analysts that the goal was to have more time to find and generate more cost savings on each event. I understand how the analyst could draw that conclusion and the CPO did the right thing. Better communication up front probably would have avoided this fear. This fear is prevalent in most organizations especially at the management and analyst levels. There is another fear that most people don’t want to address. If we reduce costs our budget will be cut. I heard that exact thing again last week. Wouldn’t it be smarter to give a group that generated savings the opportunity to allocate those savings to achieve greater savings and control? If it was your company, isn’t that would you would do? Entrepreneurs do this routinely. Reinvest gains to make bigger gains. Every organization can strategically manage spend. The 80/20 rule almost always applies, so getting control at the base level of 20% of the items can yield tremendous benefits. But we can’t ignore the human factor. Every individual in the procurement cycle can be part of the solution or work to maintain the status quo. Persuasive communication of goals and the rewards for generating savings is smart first step. Utilizing spend analytics to support the goals will help deliver on the promises. Action Step: Every organization wants to protect profits. If you believe that your procurement process could benefit from an independent review, a professional like myself can provide guidance and expertise to help your organization achieve the results you want. If you would like to explore this topic in greater detail, please contact me. If you want to explore a purchasing or procurement topic in greater detail, I invite you to request 30-minute discovery conversation. In my experience the next step will be apparent at the end of the call. I never assume that my recommendations will be right for everyone, so don’t expect a sales pitch. You can reach me at (973) 718-7071 x875. The call will be forwarded to my mobile phone if I am not in my office, which is pretty likely.